The Kiwanis Lake Rotoma Swim is held each Waitangi Day (New Zealand's national day: 6th February). It features a variety of events open to all comers and all ages. 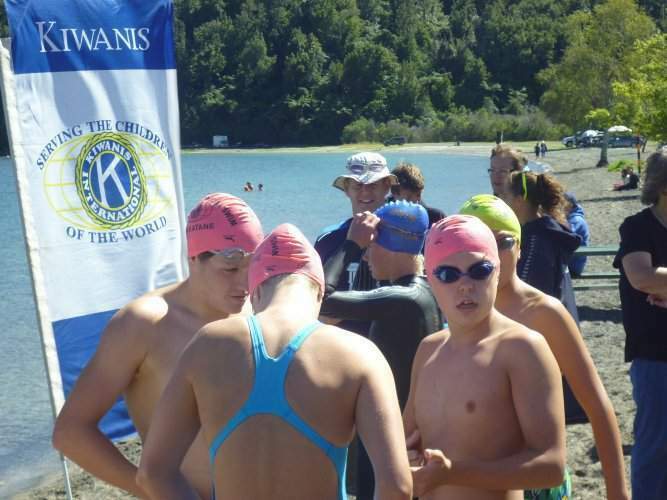 The Kiwanis Club of Whakatane claims that the course is the only buoyed barrage swim course in the world outside of established 2000 m. rowing/canoe courses. A 1500 m. rope is suspended below the lake surface by orange buoys and droppers every 10m. Larger buoys mark the corners and finish line. The course is triangular and has legs of 550 m., 550 m. and 400 m.
The start of one of the events. Buoyed course. 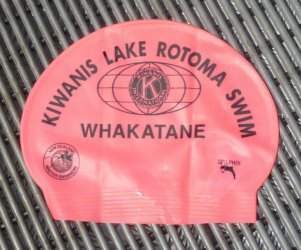 Kiwanis swim cap worn by all swimmers. 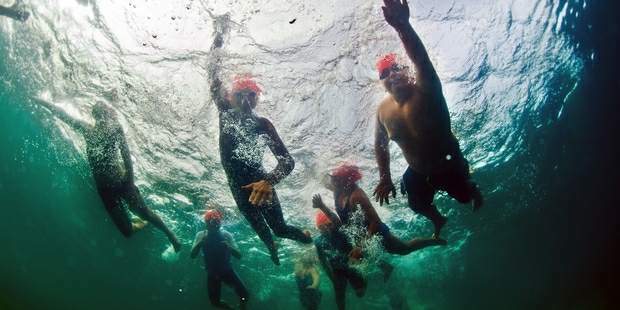 The swimmers wear colour coded Kiwanis caps so the participants in the several races that occur at the same time can be identified. Power boat support as well as a number of kayaks are provided for swimmer safety and course monitoring. 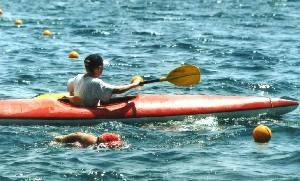 A kayak paces one of the swimmers. 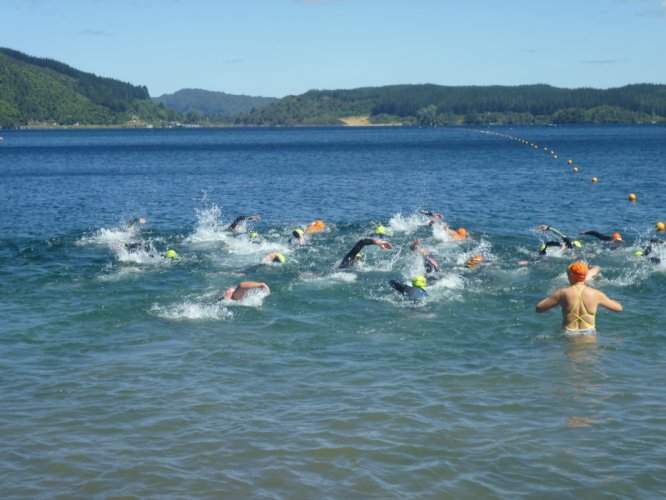 For information on the next Lake Rotoma Swim event, contact Leigh Baker or by telephone at +64(7)308-7086. Page last updated on 06 May 2018.